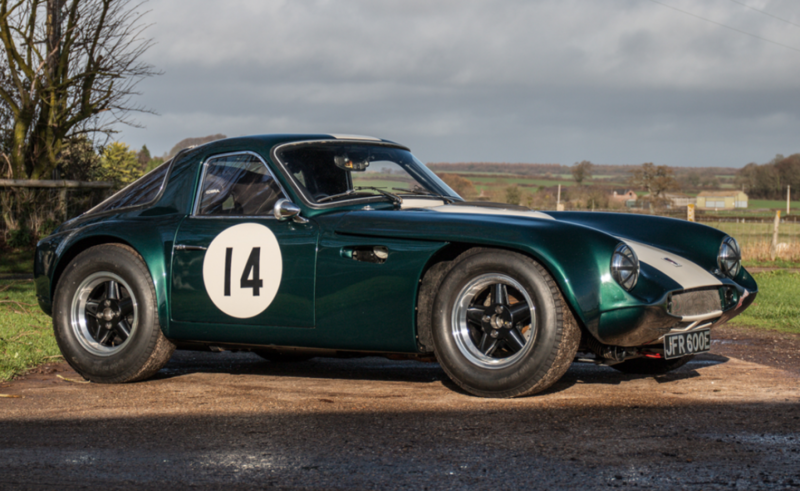 We recently featured the ultimate iteration of the Bond Equipe, the 2-Litre GT. This, the GT 4S, was the second version of the car introduced. 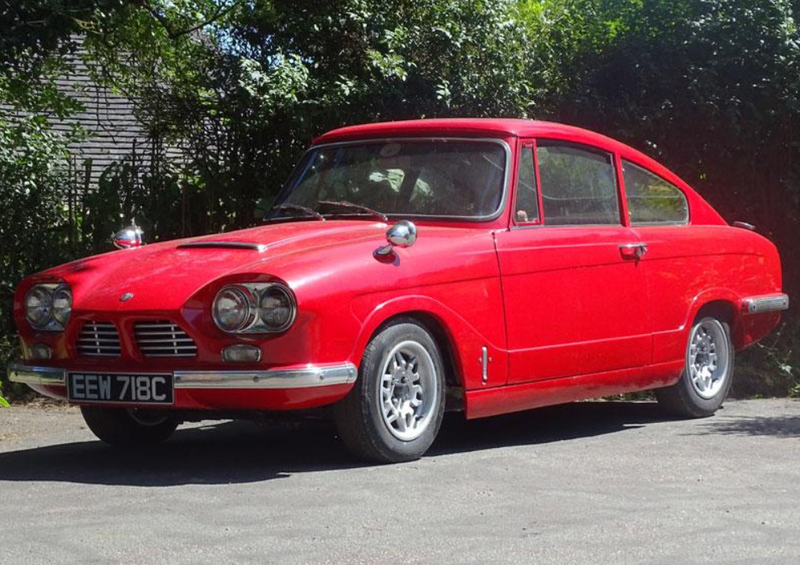 Originally, the Equipe went on sale in 1963 and the GT 4S hit the market in September of the following year. It was built through January of 1967. It’s powered by a 1.1-liter straight-four from a Triumph Herald, tuned to make 67 horsepower here. When the GT 4S was replaced in 1967, it was replaced by a 1.3-liter variant, the 1300. The fastback body is fiberglass. This 82,000 mile example is one of just 1,934 units product – the most of any Equipe model. It’s described as being in good overall condition, with perhaps the paint needing some attention. It should sell for between $3,000-$4,500. Click here for more info and here for more from this sale. The Ferrari 275 is one of the most iconic Ferraris. Produced between 1964 and 1968, production totaled less than 1,000 units and they are highly sought after today, with every example bringing over $1,000,000 – and the convertibles… if you have to ask you can’t afford them. 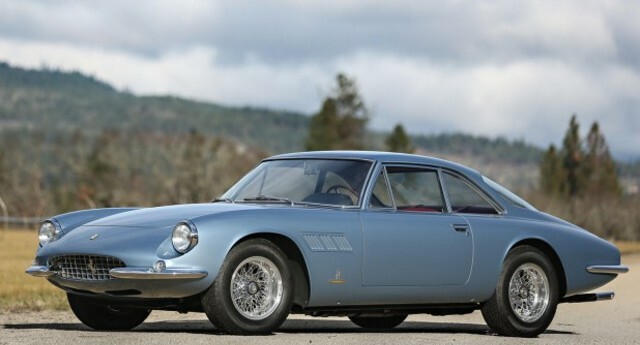 The first 275 built was the standard 275 GTB (there would also be a competition version of this coupe offered as well). Introduced in 1964, it lasted through 1966 when it was updated to four-cam 275 GTB/4 specification. The engine in this car is a 3.3-liter V-12 making 265 horsepower. 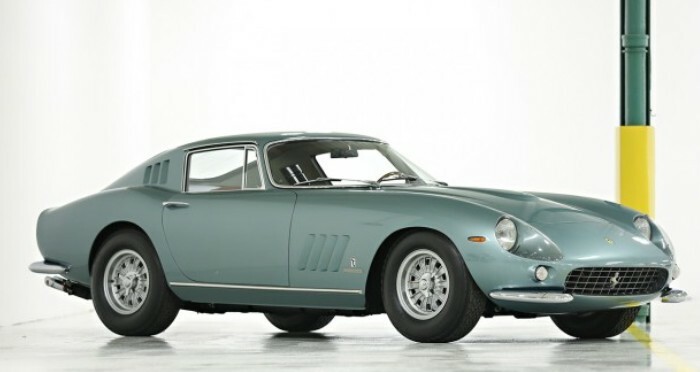 275 GTB coupes sold by Ferrari were all bodied by Scaglietti. 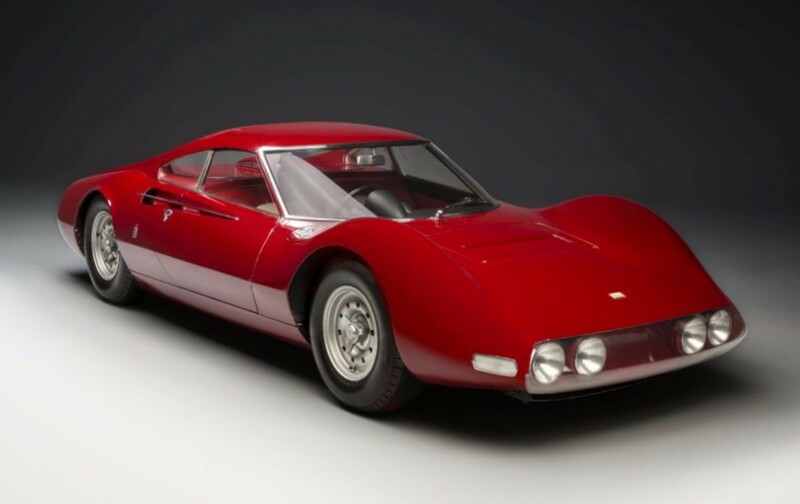 Except the car you see here, which was the only one bodied by Pininfarina – and it became Battista Pininfarina’s personal car until he sold it just before his death in 1966. Ownership is known since then and the restoration dates to 1992 – not that you’d know because it’s been kept in pristine condition. You really should head over to Gooding & Company’s site and check out more images because this thing is gorgeous inside and out. The interior is stunning. And so is the expected sale price: between $8,000,000-$10,000,000. Click here for more from this sale. I’m beginning to think Gooding & Company has a secret stash of one-off Ferrari wagons. It’s a great concept. Think about it: take a high-revving Italian exotic, add a big greenhouse out back and boom! 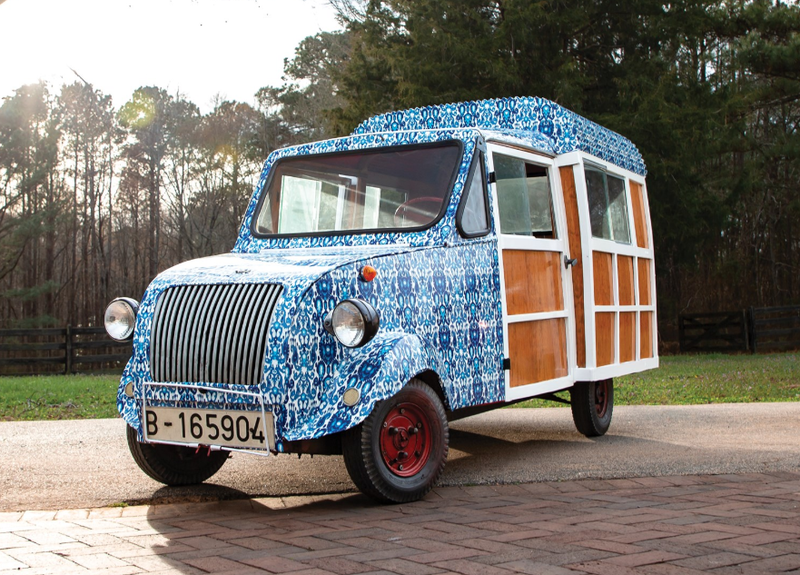 Now you’ve got a grocery-getter that hauls the mail. The Ferrari 330 GT 2+2 was a grand tourer built between 1964 and 1967. It was far and away the most common of the Ferrari 330 series, with 1,099 produced. But this does not look like the rest of them. 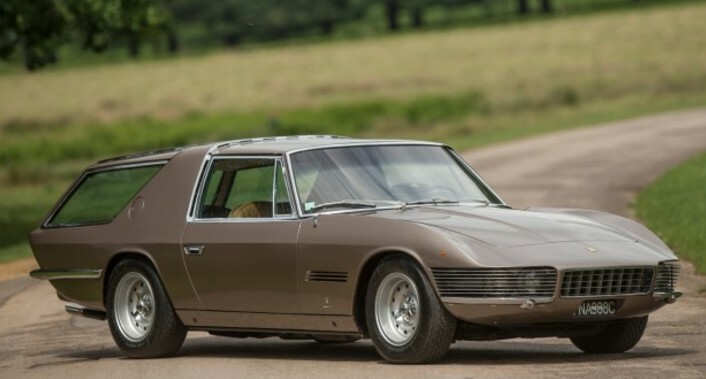 It was sold new as a normal 330 GT 2+2 but when it came back to Chinetti Motors in 1967, Chinetti Jr. co-designed this “Shooting Brake” and had it built by Vignale. This is believed to be the final Ferrari bodied by the Carrozzeria. It’s powered by a 4.0-liter V-12 making 300 horsepower. 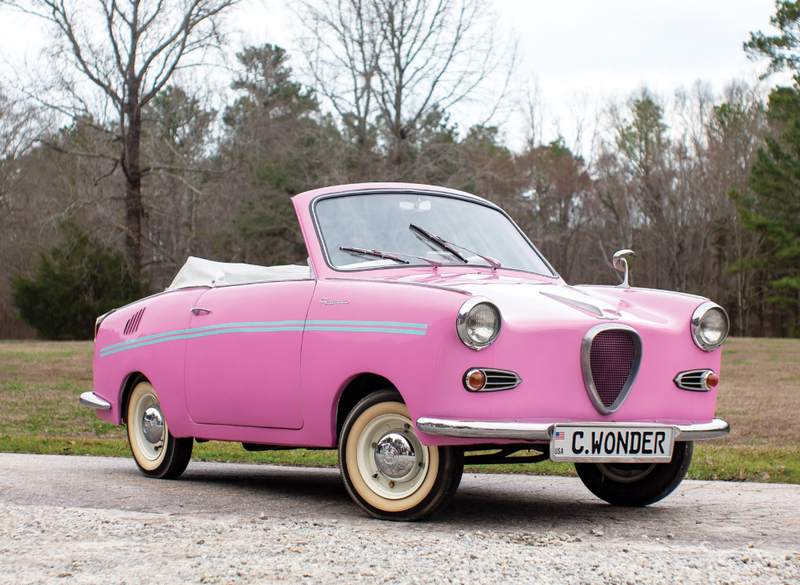 Chinetti sold the car in the 1970s and it was restored in the 1990s. At one point it was owned by Jamiroquai front man Jay Kay. It’s one-of-one and should bring between $700,000-$900,000. Click here for more info and here for more from this sale. Update II: Sold, RM Sotheby’s Los Angeles 2018, $313,000. OSI – or Officine Stampaggi Industriali – was an Italian company that stamped parts for other cars. It was founded by Luiggi Segre, the head of Ghia. They built parts for the likes of Innocenti, Fiat, and Ford. 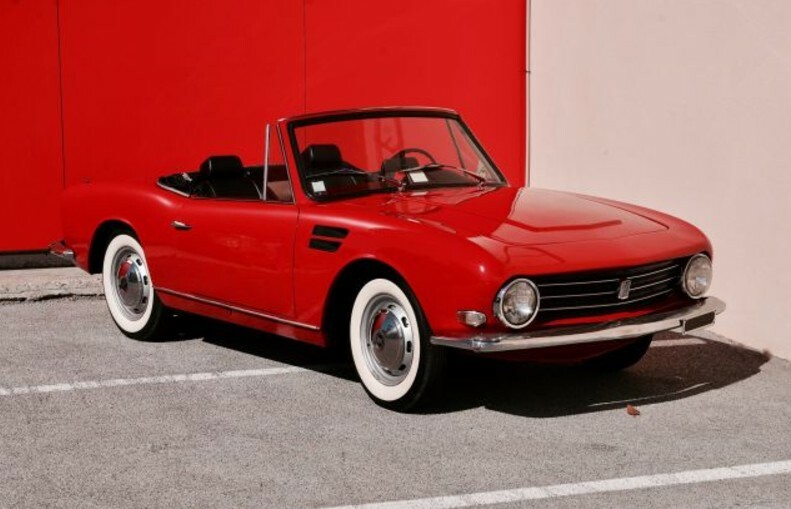 But at the 1963 Turin Motor Show, OSI presented a car of their own, this, the 1200 S.
Powered by a Fiat 1.2-liter straight-four, the car features a body designed by Giovanni Michelotti. It’s an attractive small car, reminiscent of small Fiat spiders of the day. It looks great with the full rims and whitewalls. Built between 1964 and 1966, it could be had as a coupe or convertible. Artcurial says only 28 of these were built, but other sources list that number as high as 280. A different source says about 200 were sold. However you stack it, they’re extremely rare. To be the only one one your block with one will set you back between $40,000-$60,000. Click here for more info and here for more from this sale. Porsche really hasn’t produced that many different models over the years (by name, at least). 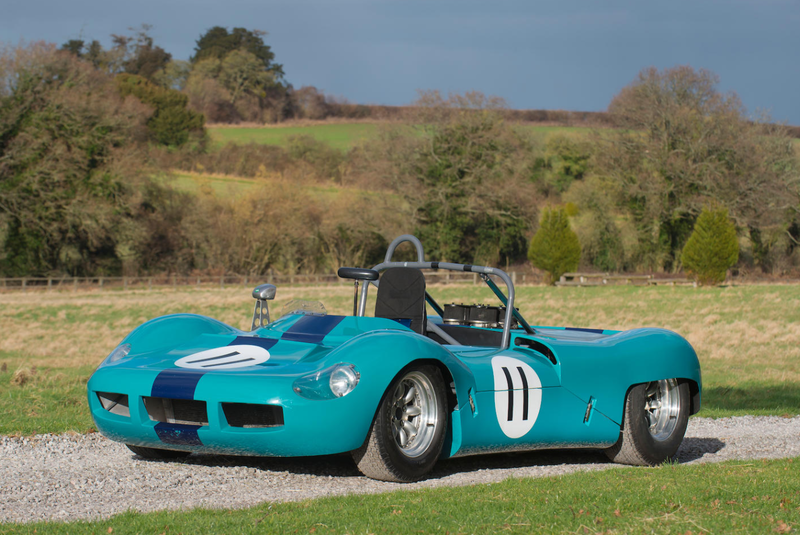 So imagine trying to restore one and you go out and buy a parts car only to discover that it is one of six original factory prototypes for the car you are restoring. Guess what: you change the focus on the car you are restoring. That’s what happened to the discoverer of this car. Anyway, the Porsche 911 was introduced to replace the 356 in 1963. 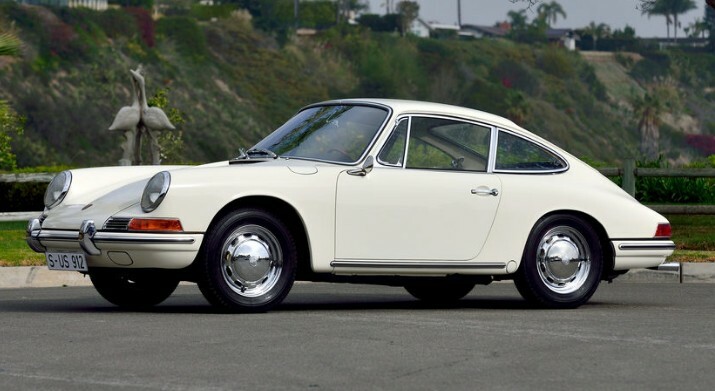 Porsche 356 production continued through 1965 and to hedge its bet on the new six-cylinder 911, Porsche introduced the four-cylinder 912 as they phased out the 356. It was basically a 911 body with a 356 engine in it. This car carries an engine from a 1964 model year 356SC. That means it is a 1.6-liter flat-four making 95 horsepower. The 912 isn’t nearly as collectible as the 911 (and never will be). They are still in the price realm of mere mortals, but they won’t be forever. But what will always be high-priced and collectible are numbers-matching factory prototypes of legendary sports cars. This fits that bill. Only two of these survive, so here’s your chance. Click here for more info and here for more from this sale.